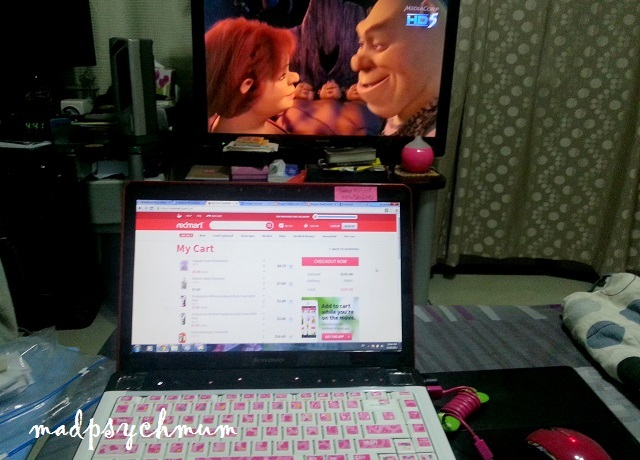 MadPsychMum | Singapore Parenting + Travel Blog: Buy Groceries Without Leaving the House! Buy Groceries Without Leaving the House! 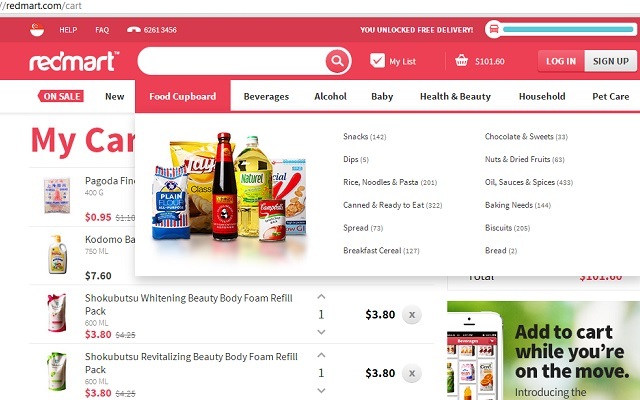 Wouldn't it be great if you could just click with your fingers and get whatever groceries that you need delivered to your home without ever leaving your house? 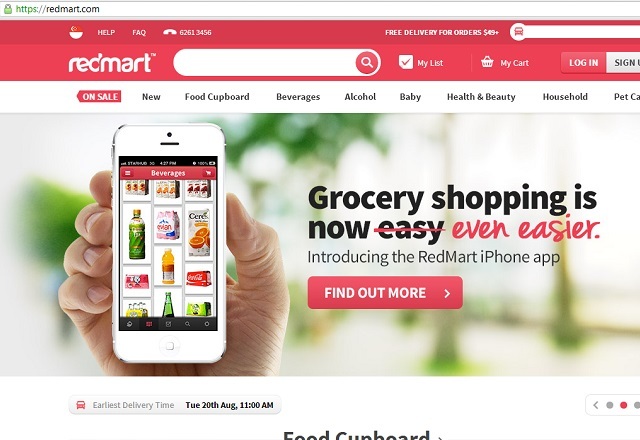 Well, now you can, with RedMart! 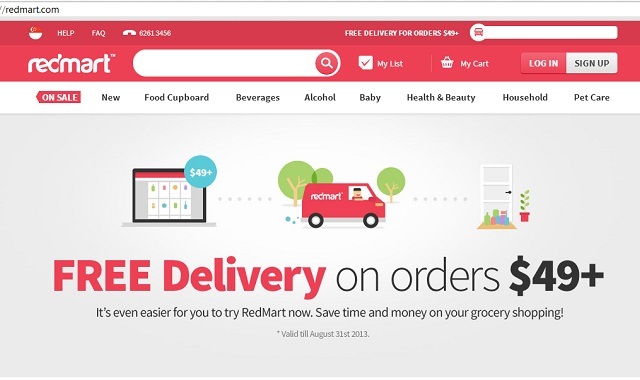 Instead of having to drag your 2 children, a baby, the helper and the mother-in-law to the Supermarket and screaming at your kids when they don't sit still, walk properly or stop crying (oh yes, I feel you..), you can now choose to order them hassle-free online at RedMart. It is great for people who hate crowds/queuing, do not own a car or dislike carrying the heavy packet of rice or bottle of oil home. 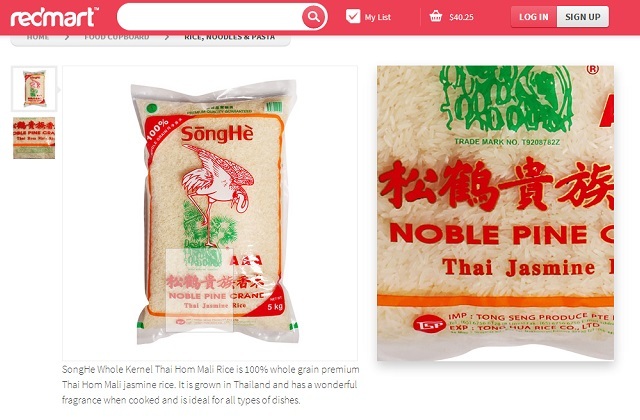 And the nice thing is, the variety and price of the products in the online shop is really comparable to the physical supermarket (believe me, like every typical mummy, I checked.. *laughs*). 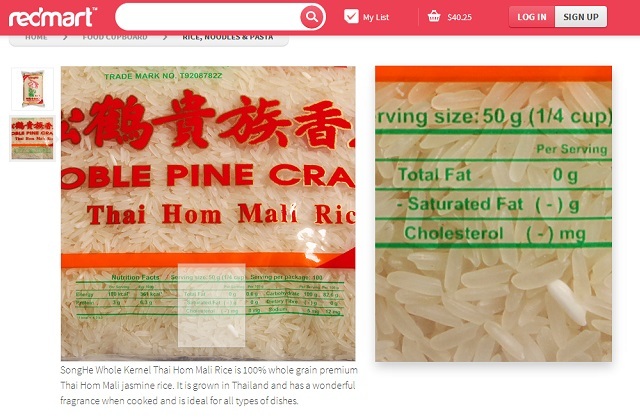 And if you need more information on a particular product, you just have to click and run your cursor over the photo and a zoomed image will be produced on the right. And if you like what you see, it's really easy to add it to your cart and checkout. 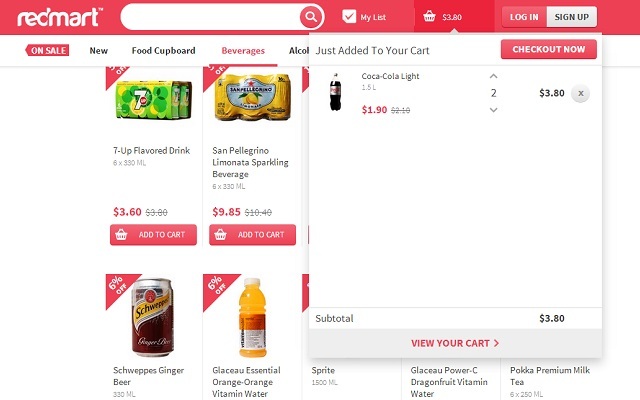 Adding items to cart is super easy! There is also FREE DELIVERY if you purchase more than $49 (offer ends 30th Sep 2013) instead of the usual $75! For big families like ours, achieving this amount is super easy! All I need to do is buy a couple of packets of diapers and a packet of rice and viola, free delivery! Best of all, you can shop for groceries at 12 midnight in your pyjamas while watching your favourite movie on TV.. I'm definitely going to use this website more often during my confinement after I give birth since I'll be too busy with the new baby and have no time or energy to lug heavy groceries back from the supermarket! Multitasking for mums is not just for efficiency, it is for survival! Disclosure: This is Part 1 of a series of sponsored stories on behalf of RedMart Singapore. All opinions and text are my own. All opinions expressed in this blog are purely my own. Products and services that I have received for review purposes will be clearly specified. Any advice given should be taken at your own discretion. If you're unsure, please seek the advice of a licensed clinical professional. © 2010-2019. All content & photos belong to MadPsychMum unless otherwise specified. Powered by Blogger.